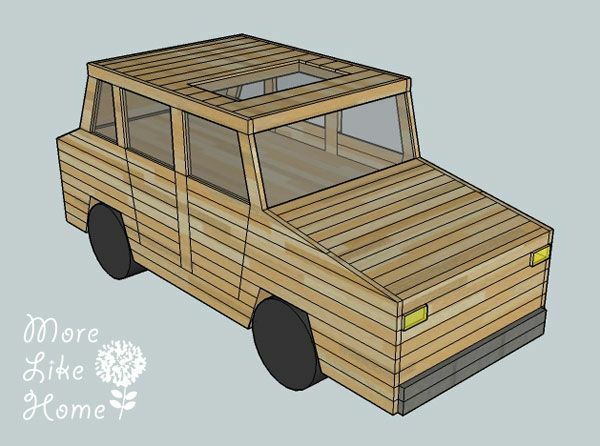 We've had such a positive response to our 2x4 car for kids that we've decided to step it up a notch this year with a car that's big enough for the whole family! It's super affordable, and the customization options are almost endless. You can opt for either bench or bucket seats, or even upcycle a few seats from the junkyard for a cushier ride. 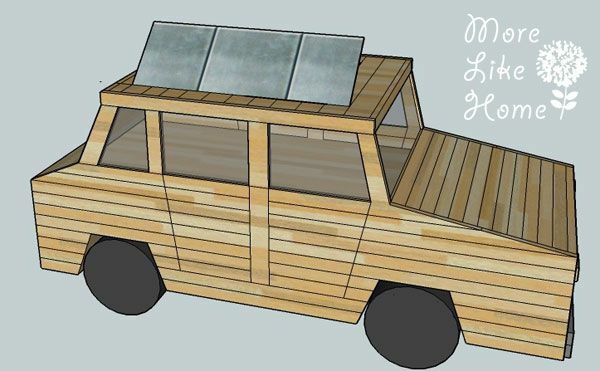 You can make this basic sedan style, make a smaller smart car stye, or even extend the back to make a mini-van with plenty of room to grow! We have some great optional features like a sunroof, third row seating, and some pretty sweet under-carriage lighting. Get ready for the ride of your life! You can even reduce your carbon footprint with a simple DIY solar panel! 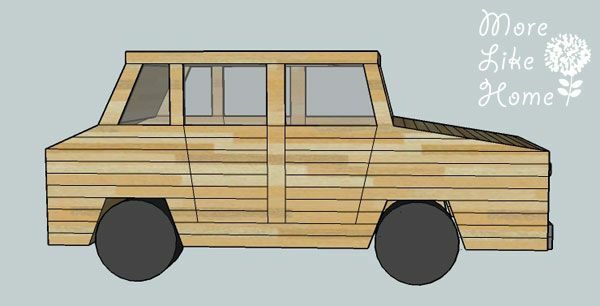 Any additional features you would like to include - air conditioning, radio, headlights (required for nighttime driving), coffee pot, keyless entry, etc. There's one more thing we need to mention first.... April Fools. 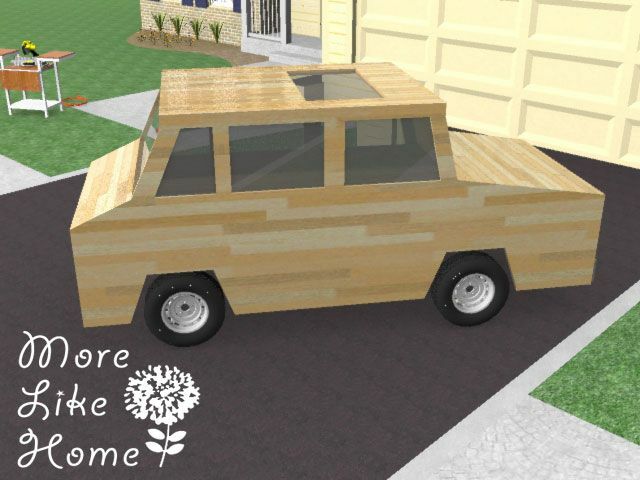 Check out some more practical uses for 2x4s in our series 31 Days of 2x4 Projects! Like us on Facebook for more (real) DIY projects!